It was a sad day when this poor little radio arrived. Wrapped only in layers of newspaper, it just didn’t stand a chance. The glass and cabinet were smashed and a lesser man would have given up right there. For a moment or two we thought it might be a terminal case. Hey no. We don’t give up that easily. With a bit of love and attention the begging and borrowing of glass from Peter to pay Paul, and the soundtrack from Rick Astley, our Superman has saved the day. The radio lives to play on. 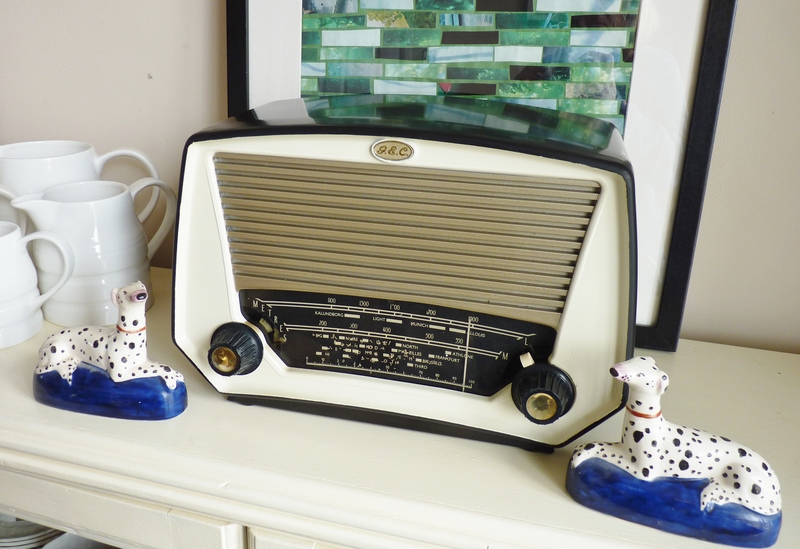 This GEC vintage radio has long been one of our favourites. 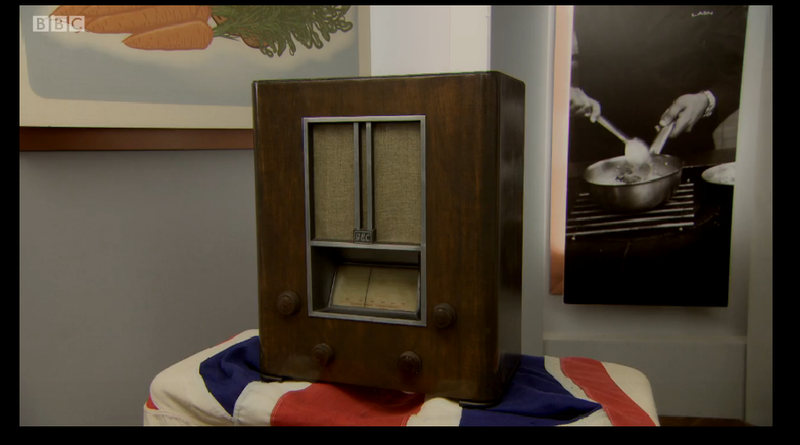 One of the first radios that Wayne restored, originally full of woodworm, with bits missing and metal work so completely black and pitted it looked like a lost cause. It seemed a good place to start. If he could make something of that he could do anything and if he couldn’t … it was in such a bad place the skip was the best place for it. 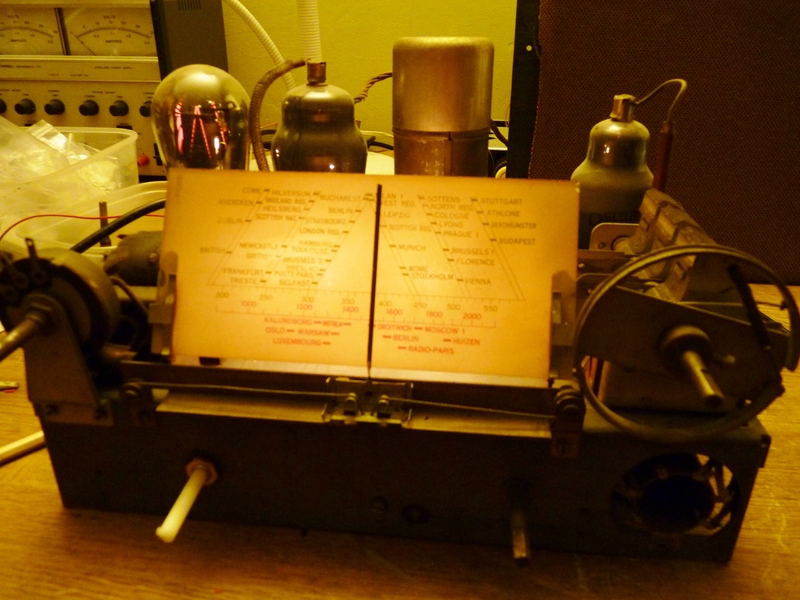 Back in October we got a message from Aktar Islam’s people asking if we had a radio suitable for broadcasting Winston Churchill’s speeches. Aktar Islam is an award-winning Chef and Restaurateur and was taking part in the up-coming Great British Menu. To cut a long story short, his people talked to our people – well me and we suggested that this little radio might fit the bill. We carefully packed the radio up and his people arranged for it to be collected and delivered to the studio. They then asked if they could keep it for a bit longer and we weren’t sure if this was a good thing or a bad thing. Maybe it was lost or broken. To our relief, it did finally come back in once piece but sadly with no news from Aktar’s people of how well it had gone and we assumed our radio had ended up forgotten or at best on the cutting room floor. 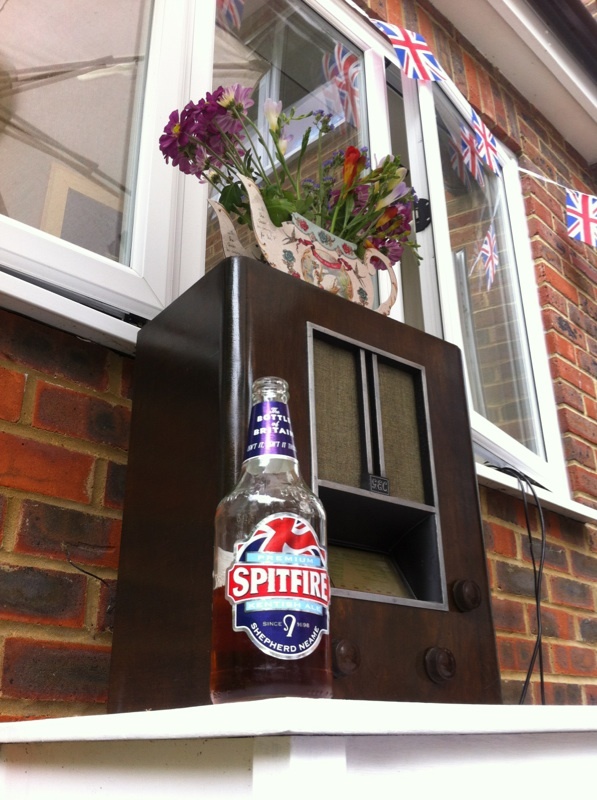 The days moved into weeks and the weeks into months until at last a friend said she’d seen our radio on the tele. Thank goodness for Catch Up. 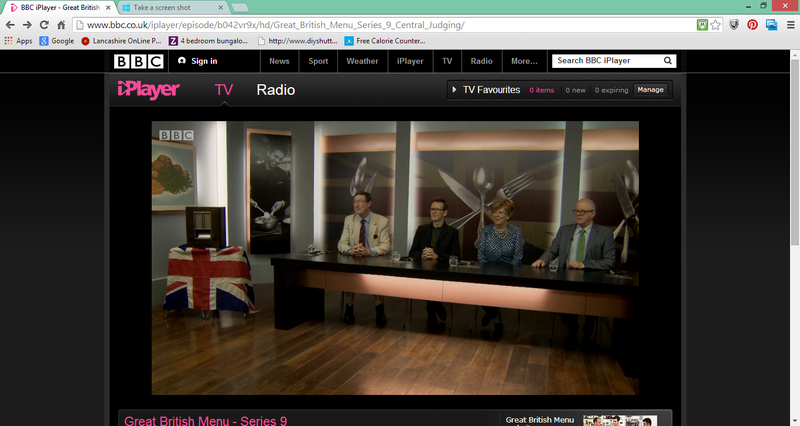 There it was on Great British Menu just before the pudding was served. We were so proud. An invite to award- winning Aktar’s restaurant might have been nice .. but hey you can’t have everything and when we’ve sold a few more of Wayne’s radios we’ll book a table at Aktar’s to celebrate. 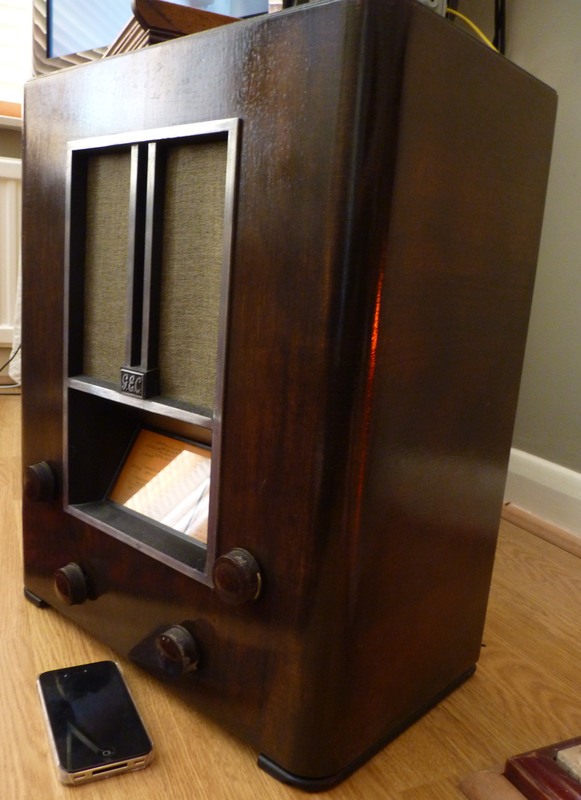 In spite of spending the best part of the last fifty years at the back of the garage, this seriously sad and lonely 1954 GEC vintage valve radio has now been completely transformed. Thoughtlessly abandoned in the swinging sixties, it was tossed aside the minute that newfangled tiny transistor radio upstart turned up, all clever and full of its own importance. Where is that trendy upstart now eh? … Landfill. 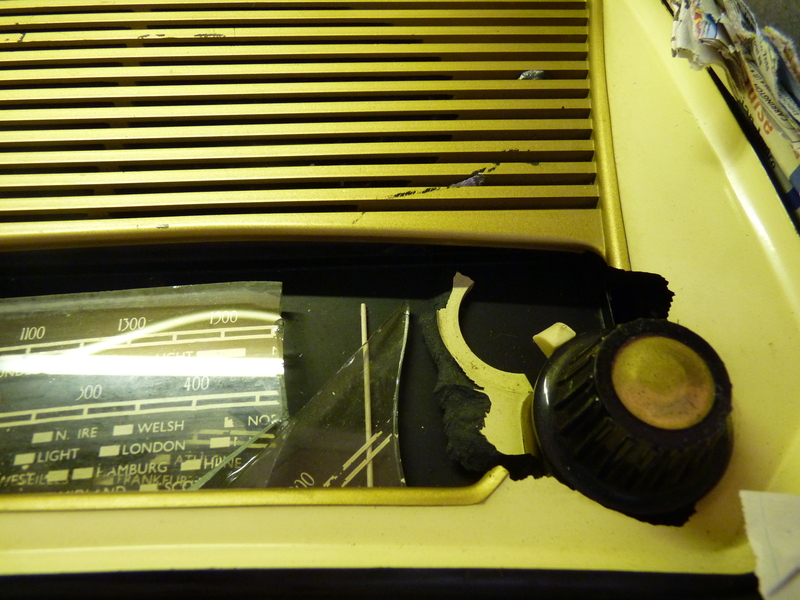 The valve radio is having a revival. The GEC is back to claim its rightful place. Big is beautiful once more. Wayne can always see the true potential of a radio. You can’t fool him with missing knobs and dusty dials. Not only is he a wizard with a soldering iron and an oscilloscope, but he also has an amazing eye for detail. 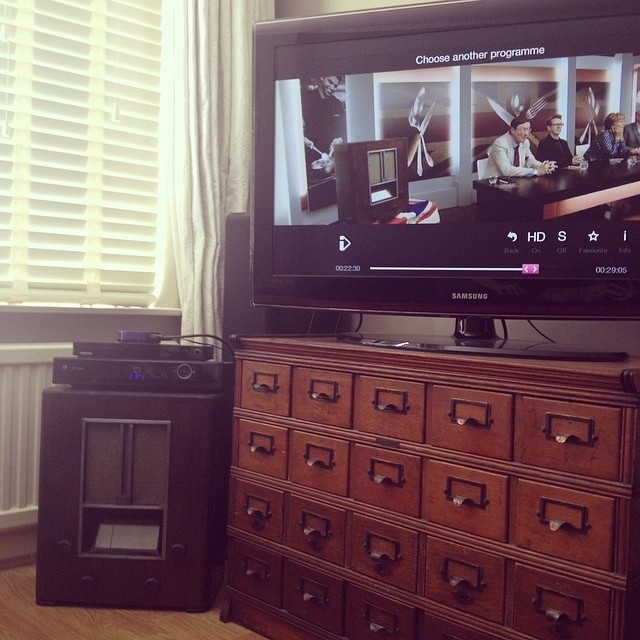 He can recognise a good bit of design when he sees it and another Vintage valve radio lives to play another day. 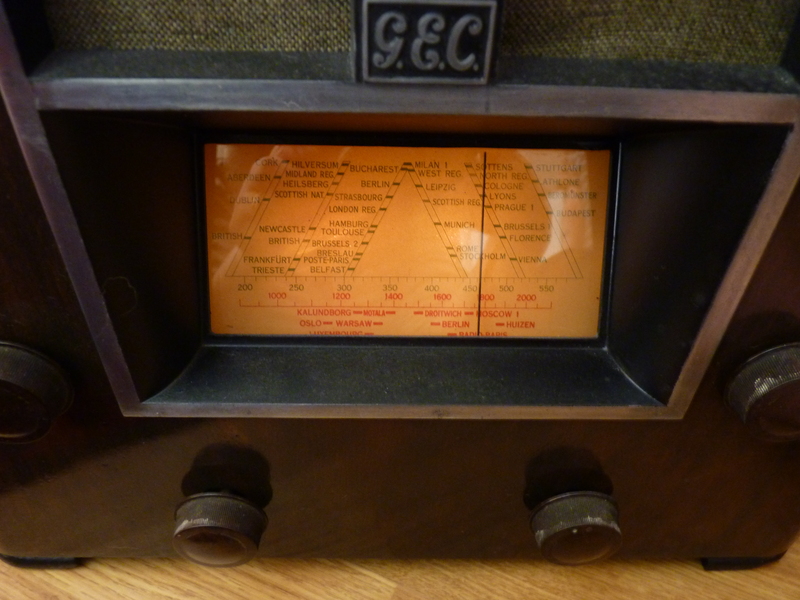 This grand looking GEC radio was first manufactured in 1937. Looking back at some significant world events for this year lends some perspective to just how long ago this was and how much has changed. It was made the year after Charlie Chaplin’s talkie Modern Times was first released bringing with it the end of the silent movie. The Coronation of King George VI took place at Westminster Abbey and was filmed becoming the first Outside Broadcast. Significantly, the Great, great, great grandson is currently touring Australia and we have a minute by minute report of his trip beamed by satellite with both sound and colour as we’ve come to expect. In 1937 The Duke of Windsor was finally free to marry Wallis Simpson in France and in Germany Hitler held a secret meeting to inform his military leaders that he intended to go to war. On a lighter note, the first issue of the Dandy was published introducing speech bubbles instead of captions for comic readers and SPAM was created and continues to be either enjoyed or endured .. like marmite. 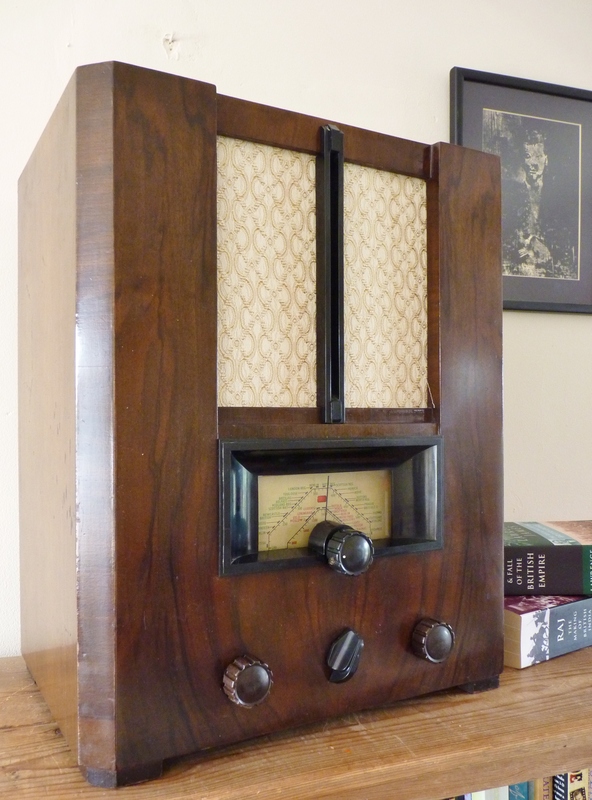 This radio could also be something you will also either love or hate with its solid and simple styling and dark wood finish. But you must take your hat off to it still being around and appreciate the fact that it still works after nearly eighty years. 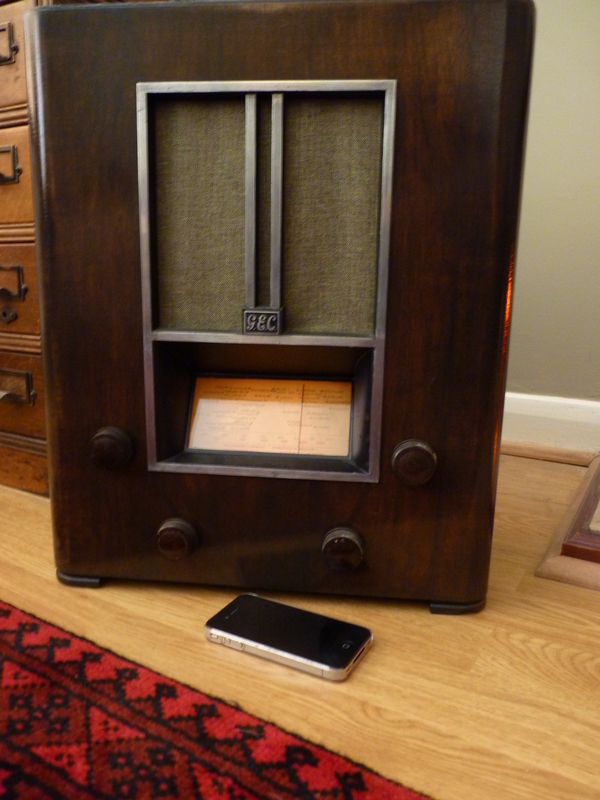 Another vintage valve radio that once only looked fit for the skip but fortunately the metalwork saved it. Made in 1935 by GEC, it has a medium-sized dark wood and chrome cabinet. 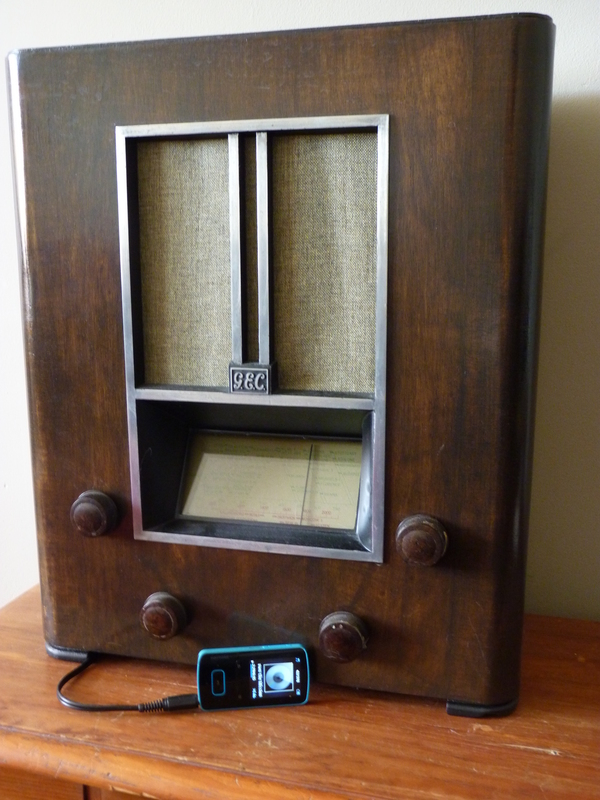 It’s a great upright radio with really simple and elegant styling. The metal surround was originally completely black, we cleaned a bit and then just couldn’t stop, to our amazement we were able to reveal a great shiny metal finish. The distressed and wormy cabinet was then transformed, the electronics repaired and made safe and another radio lives to make music again. Looking good at nearly eighty years old after a complete overhaul and restoration.